H4 has been made a huge difference in my life. When I joined almost 3 years ago, I did not join to lose weight, my goal was to try and get more focused on my health. H4 has done that and a lot more. I have lost a pant size, cured a bad back, improved my strength and stamina and have a significant improvement in overall energy. Prior to H4 I worked out on a fairly regular basis since high school. I did the standard chest, back, biceps and triceps. On off days, I would do cardio on the treadmill. Problem is, I never really felt in shape and as I got older, my level of energy dropped. In the beginning, I really wasn’t a believer in the workouts at H4. But after about 2 months, I started to realize that I felt stronger and more energetic. I will be 50 in a few weeks and I am actually in the best shape of my life. 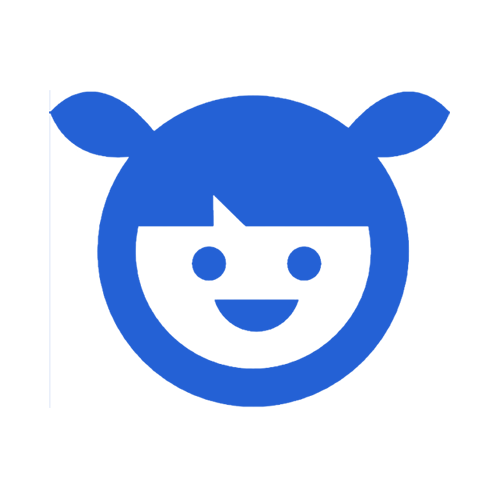 I really think the sense of community that H4 has built is the reason why I continue to maintain a solid and consistent work out plan. In addition to the trainers, there is always someone there to push and cheer you on. Hank makes sure you keep on schedule. There have been many days that I just did not feel like working out. But when I realized I had an appointment and other people were expecting me, I pushed myself to go. It almost sounds too good to be true, but the results are real. I can’t thank Hank and his team of fine trainers enough for all of their hard work and personal attention. I am a mother of five kids under the age of 17 and work a full time job traveling for business three days a week. For the last 15 years I have been an avid runner. About a year ago I was diagnosed with a bladder disease called IC. I was not able to run or exercise without severe pain, and because of this I gained 40 lbs. After getting treatments for IC, I joined H4 Training in January. I had never done any other types of exercise only running, so I was definitely skeptical when I started. The staff at H4 were very supportive and very detailed in the exercises. Any questions I asked were answered. The workouts were all well thought out and worked muscles I never knew I had. After four months of attending classes at H4, I was able to cut my running time by almost two minutes a mile. I am so much stronger and healthier all-around. 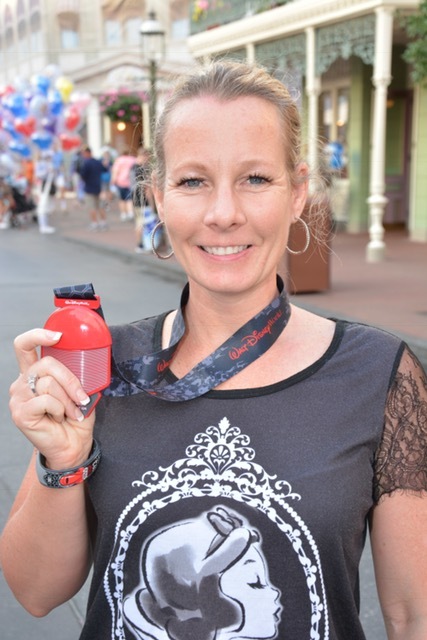 I have done three half marathons and a full marathon in the last four months, and I felt great! I give 100% credit to H4 training and I am so excited for the next races and workouts to come! I would highly recommend H4 Training to anyone looking to be stronger both physically and mentally. They have changed my life! The physical results have been awesome! The dedication of the coaches and clients is my favorite thing about H4. I have belonged to many gyms in the past and I have never been a consistent 5am workout person. The group and coach dynamic at H4 (even at this unnaturally early hour) is fantastic. 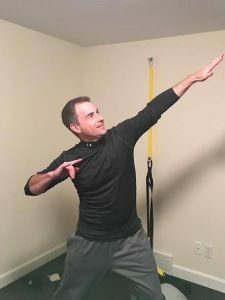 When I joined, I couldn't do many H4 exercises, but I always received modifications, explicit encouragement from the coaches and implicit encouragement by seeing clients fly around the gym while I was sucking wind with my hands on my knees. (Dan is still a beast). After only a few weeks, it was apparent that H4 is dedicated to your success and the 5am class was dedicated to be successful. The physical results have been awesome. I am down almost 50 pounds and counting. But I think the biggest difference I see is my confidence in the gym. Coaches Hank/Amber/Val have been fantastic pointing out weaknesses in my form. With their guidance, I know (and have felt) that I am getting the most out of the exercises. I joined H4 Training about 5 months ago, hoping to feel better and lose some weight. I have lost 20 lbs. and 2 jean sizes! I really enjoy the small group training workouts. They are always different, challenging and energizing! H4 makes you feel comfortable no matter what your fitness level is and gives you the support you need to attain your goals. 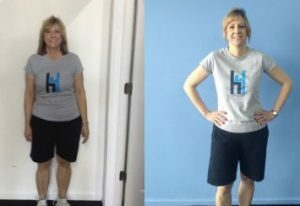 Thank you H4 Training for giving me a happier, healthier and fit life! This Is The Best Workout Regimen I Have Ever Done! I was tired of not getting results with the workout plan I had done for a couple of years. A few friends of mine would post on Facebook how much fun and what a great workout they just finished at H4. I decided to check it out for myself. I met with Hank and he explained the H4 experience on fitness. I decided to try it and was hooked. Hank provides not only a great workout combining strength training and cardio, he also provides nutritional advice and encouragement. So far I am down 10 pounds and several inches. I love that each workout is different and is ALWAYS challenging! By far, this is the best workout regimen I have ever done! 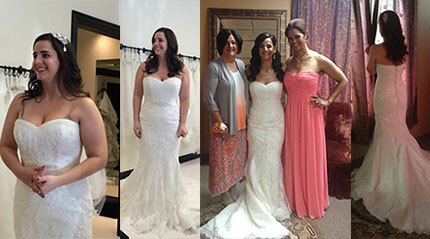 I Felt Amazing In My Bridal Gown! 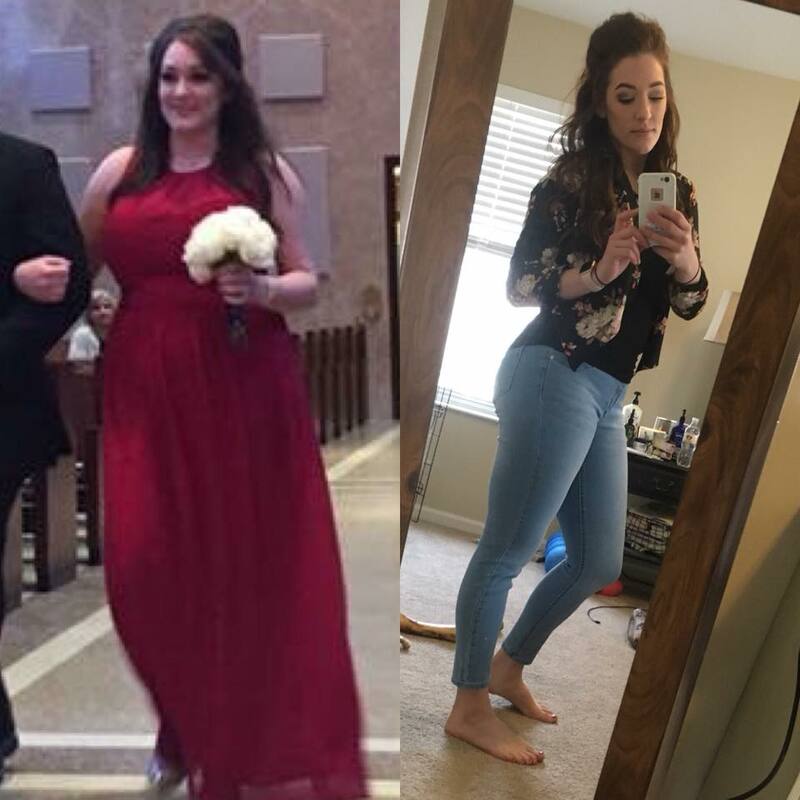 When I got engaged, unfortunately one of my first thoughts was, “I don’t want to look this way at my wedding.” I’ve never been a huge self motivator or work out fan, but H4 was awesome at challenging me and providing extra support. Shortly after joining H4, I fit back into my “old” work pants and noticed an increase in energy, so I decided to stick with the program to prepare for my upcoming big day. 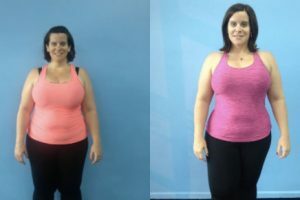 After working with H4 for almost 7 months, I lost a total of 2 1/2 dress sizes, dropped 26 pounds, and decreased my body fat by 5 1/2 percent. I felt amazing not only in my bridal gown, but also wearing a bikini on my honeymoon! I couldn’t have achieved these excellent results without H4’s training, knowledge, and encouragement! It’s So Motivational To Be With Such Fun And Positive People! 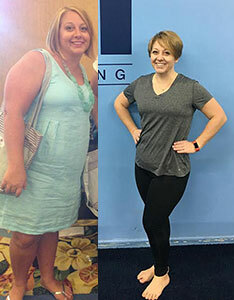 Melinda has worked incredibly hard and has lost 35lbs since joining H4! I love working out in the small group setting. It’s so motivational to be with such fun and positive people. It’s makes the workouts go by so quickly.The secret to be success is definitely working out and eating good on a consistent basis. It’s not about being perfect with your diet and exercise all of the time. It’s about working out as much as possible at H4 and making healthy eating of a way of life. My Entire Perspective Has Changed! In July 2016, I came to H4 Training at the encouragement of some of my closest friends, who were already part of the H4 community and loved it. They knew that I was trying to get healthy again after years of putting my health at the lowest level of priorities. I tried it out in July 2016, thinking I'd have limited success and just endure it. Not the case. The trainers and the workouts have pushed me and challenged me in a way that's actually... fun. The community at H4 is inspiring, hilarious, and supportive. The staff takes a personal interest in the success of the members, which helps keep us accountable and showing up for each workout. The hard data: Now, 7 months later, I'm down 51 pounds since I started at H4. A body composition scan showed that nearly ALL of what I've lost is fat. By working out at H4, I've been able to maintain "the good stuff" - my lean body weight. I'm down FOUR dress sizes. 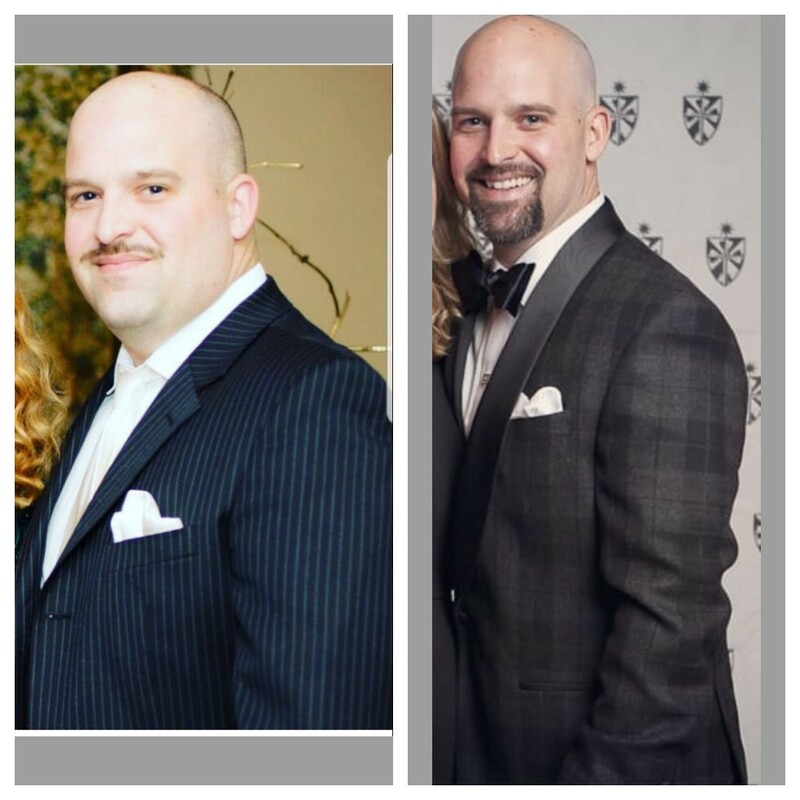 My husband also joined H4 and is down two pant sizes, nearly 15 pounds, and has gained muscle. The non-scale victories: My entire perspective has changed, as well as my family life. I can keep up with my kids longer and be a part of their active lives. I'm nicer wife. I feel more confident, I feel stronger, and I feel like I'm part of a community. I don't hide in the crowd anymore for self-consciousness. I simply DO more with my life. I Have Never Met A More Caring, Gifted, Kind And Encouraging Group Of People! When I met Hank and his staff I was basically a "couch potato" with low energy, zero flexibility and obese (not a pretty picture). However, I made a decision to begin this journey with H4 right where I was at - no waiting for "the right moment" or the "right time". I knew I had a long way to go but it was a matter of making that first step as they say. I really didn't think about it too much after that. I couldn't, because if I did I would have focused on all the reasons why I could NOT do this. I made a commitment to myself that I would dress up, show up and shut up. Once I walked through those doors, I did whatever the staff told me to do. I knew I could not fail with this mindset and I haven't! I have NOT failed!" What a wonderful thing to be able to say! I'm really proud of myself and that's so cool. I've been working out at H4 for 5 months and in the first two months I lose 20 inches. I try not to focus on the scale, but as of this date, I weigh less than I ever have in years. I'm buying smaller clothes, I fell GREAT about my success and I am committed to continue this journey because I want to be healthy. I can't say enough wonderful things about Hank and his staff! Their continued commitment to me has been such a blessing. I have never met a more caring, gifted, kind and encouraging group of people. H4 is not a gym - it really is a community. Sounds cliche, but I was worried that I would be working out with the likes of well ... you know ... and that's not the case. The members at H4 are so wonderful and we encourage one another every time! The best part of my life right now is my success with H4. There's no better feeling that doing what you thought you could never do ... and I'm doing just that!! I started at H4 6 weeks postpartum after our first child. My long-term goal was to get back to my pre-pregnancy fitness level. I wasn’t so concerned with weight loss as much as I was focused on feeling healthy while healing and rebuilding my strength and agility in my “new skin”. 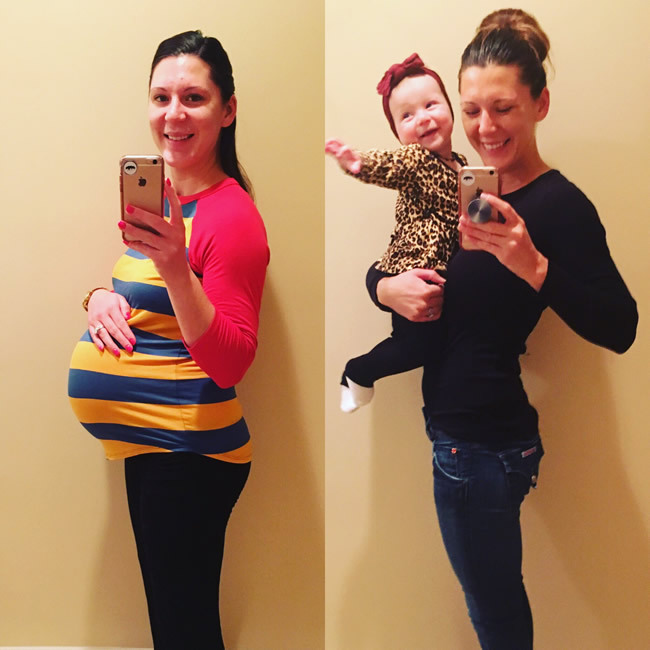 I was very active pre-pregnancy, however, with the selling of a house, buying of a new house, move, work and building a baby, my fitness routine suffered during the 2nd half of pregnancy. In total, I gained 50lbs. With the challenging but realistic coaching and motivation from the team at H4, by 6 months postpartum I was able to fit into my pre-pregnancy wardrobe. Now, at 9 Months postpartum I can say that I am the strongest I’ve ever been and feel like I’m ready to do it all over again. 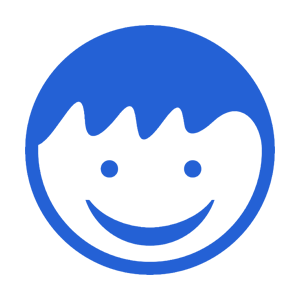 Not only did the team and training help me achieve my long-term goal, we exceeded it! The circuits and conditioning quality and effectiveness are truly a reflection of a quality coaching team. They helped work with me to build, improve and sustain my strength and agility and as a bonus, achieve pre-pregnancy weight. H4 is the perfect balance of difficulty, motivation and results that make it a one of a kind fitness experience. It’s not so much the pounds I’ve lost, (though I am proud of that!) but rather the muscle gained and the confidence I’ve built over the last two years. The first photo was after having lost 5 lbs from beginning to practice new and better eating habits. I still felt uncomfortable, but knew I was making changes to work on a better me. The second photo was taken just this morning. I’m wearing a new pair of jeans (and for anyone that knows me, jeans are not my first choice when it comes to choosing my outfits) and a new found confidence and feeling proud of the strength I’ve gained. Looking back on photos is when I truly notice a difference and it’s mind blowing to realize the transformations that have occurred over the last two years. I have learned so much— thinking of food as fuel to power my body vs. a careless indulgence as well as recognizing how much a good workout can improve the mind, body and soul.